It’s always good to see designers trying hands at stuff that aside from serving their primary purpose, offer few more uses to consumers too. 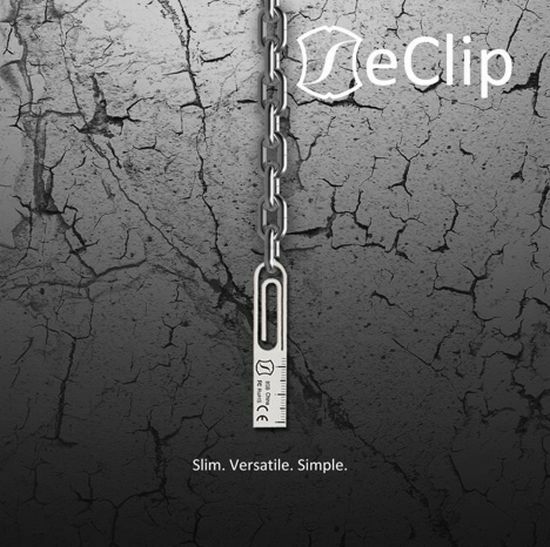 Designed by Derrick Frohne, the eClip is one such device that blends an 8GB memory stick with a paperclip and a metric ruler. As the designer puts it, the paperclip allows you to organize papers and “scratch your lotto ticket” too. Shaped like the Swiss Army Knife, the lightweight device fits on your keyring, necklace or work folders perfectly. The 2.4 cm ruler can be quite a handy tool for chefs, engineers and scientists, aside from helping average users take daily measurements. 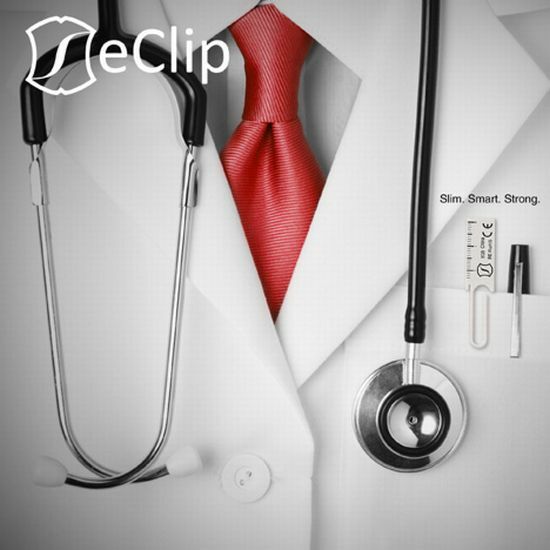 eClip flaunts a gold connector which is extremely weather resistant, dust resistant, shock resistant, alcohol resistant, scratch resistant and electromagnetic resistant. 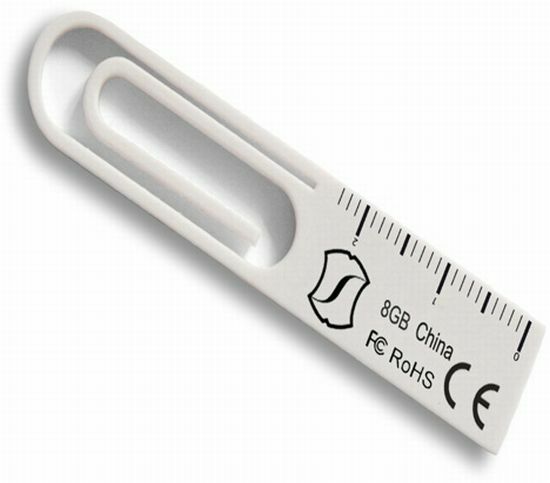 Made from ABS, the eClip weighs 1.2g and its dimensions read 61 x 12.5 x 2.1mm. The USB stick could retain your data on your Mac or PC for 10 years while ensuring data encryption, password protection, and computer lock. For those who can’t resist the temptation of laying their hands on one, it’s priced at $107.99 a pop.